Unless you've been living under a rock for the last 6 years (and nobody foreclosed on your rock), you're probably aware that the world has been going through a serious period of economic turmoil that has rocked industries from one side of the globe to the other. Despite what we hear about art auction prices and record sales numbers, the art world isn't immune from this economic instability, and some of the most venerable museums in the world have had to variously tighten their belts, whether it comes in the form of reduced hours, smaller collections or, in the case of one recent museum, actually beginning to sell off parts of their collection. Needless to say, it must be a fairly difficult decision for a museum to decide to sell off some of its collection - even a single piece, hard-won, can be difficult to let go of. The cautionary tale of the troubled and essentially bankrupt city of Detroit and its museums should have given some idea of what the backlash would be like when selling assets, but as it turns out, the directors of the Delaware Art Museum weren't paying such close attention. In fact, they recently sold what is arguably one of the most famous pieces in their collection at auction in order to help their financial situation. William Holman Hunt's 'Isabella and the Pot of Basil' was sold at auction by Christie's. The museum claims that the it was all to settle a debt that was incurred by expansion that had no other solution, as well as adding the museums endowment coffers. 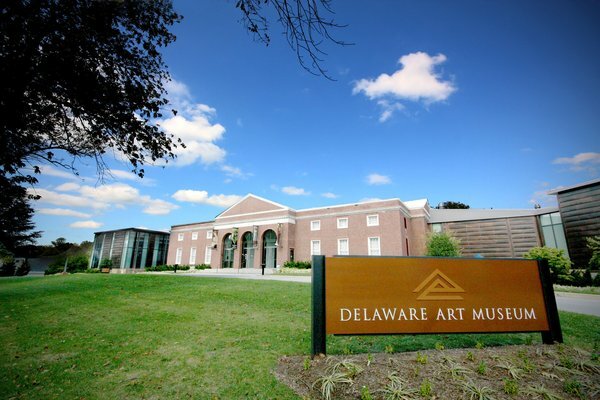 The Association of Art Museum Directors was so enraged at this flagrant sale they formally sanctioned the Delaware Art Museum in June, preventing any other member museums from loaning works to the Delaware and preventing them from helping with any exhibitions. Amusingly - or irritatingly, depending on where you stand - Christie's had valued the painting between 8.4 and 13.4 million dollars US - which would be quite a substantial part of the $19 million debt they wanted to settle. However, Christie's only managed a $4.25 million sale, just barely over half of their lowest valuation. Embarrassing for all concerned. However, the Delaware hasn't learned its lesson, as it has announced plans to sell an additional two works from the collection, Winslow Homer's 'Milking Time', and Alexander Calder's 'The Black Crescent'. Admittedly, their membership is down nearly 50% compared to 2001 levels, but still, it's hard to see how reducing the collection is a sustainable strategy for building membership numbers for the future.